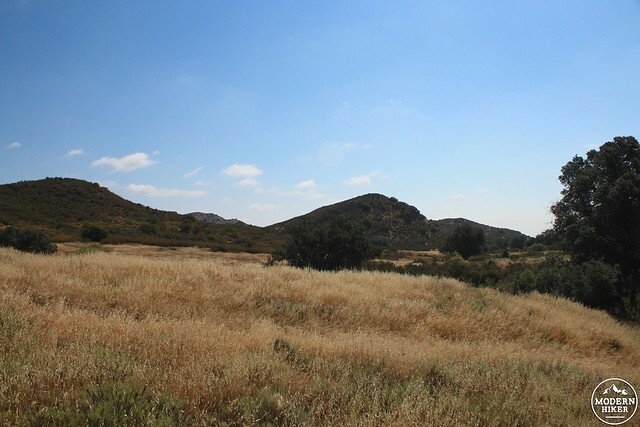 Much like the Puente Hills, the Simi Hills are often overlooked by hikers drawn to the wider swaths of wilderness present in the nearby mountain ranges. 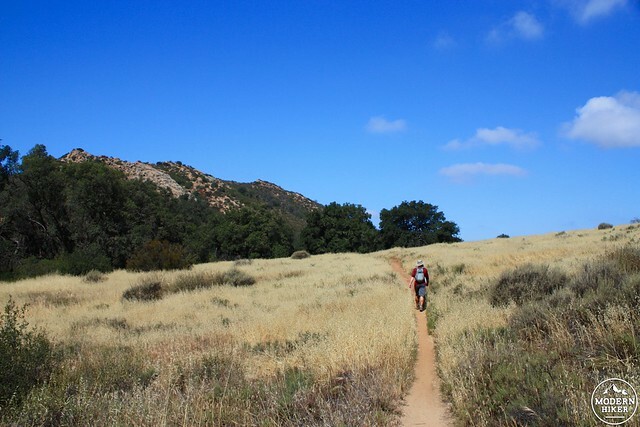 For the Simi Hills, the neighboring Santa Monica and Santa Susana Mountains cast a sizable shadow on this smaller range hemmed in by suburbia, but the region has some excellent trails to hike. Case in point: the range’s highest point, Simi Peak. 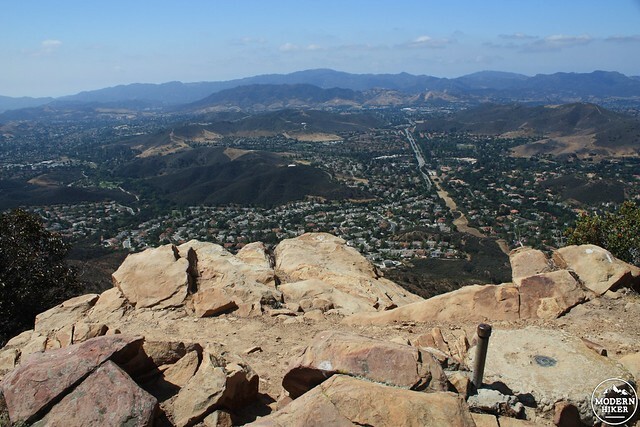 This fun, moderately tough hike provides some decent elevation gain, truly stunning oak savanna landscapes, beautiful, 360-degree views from the top of Simi Peak, and easy access to nearby Cheeseboro and Palo Comado Canyons if you feel like making this an all-day adventure. Begin on the narrow strip of undeveloped land between Saint James Court and Wembley Avenue. 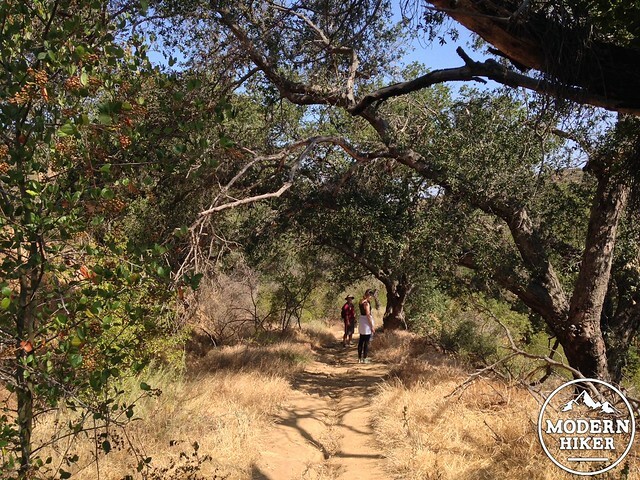 The trail hugs the east bank of one of the branches of Medea Creek, which eventually flows through Paramount Ranch and Malibu Creek State Park on its way to the Pacific Ocean. 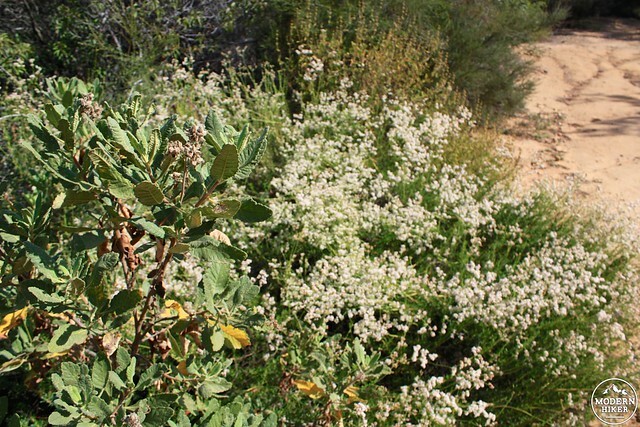 You’ll be passing behind people’s backyards here, but it’s a very short section of trail – and there are lots of yerba santa and buckwheat plants along the way to hold your attention. The trail leaves the creek banks and starts a twisty climb up a series of switchbacks rising slowly above the surrounding suburbia. At 0.4 miles, keep right at the junction with another route that comes from the end of Saint James Court. As the trail continues to rise, it gets a bit rockier and uneven – but nothing that requires anything more than a little extra paid attention as you continue on your journey. 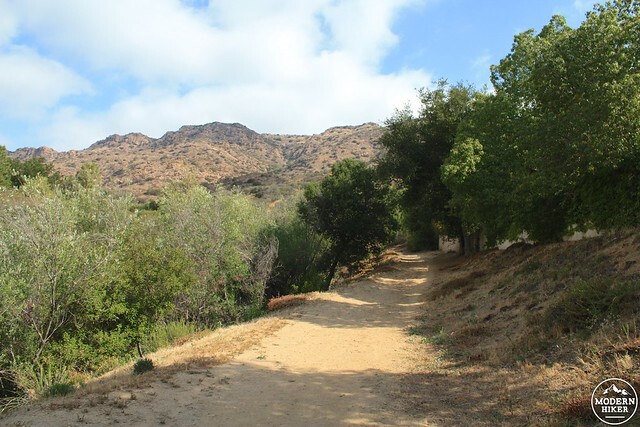 At the 1 mile mark, the trail makes a sharp turn to the east and continues along an old dirt road grade. 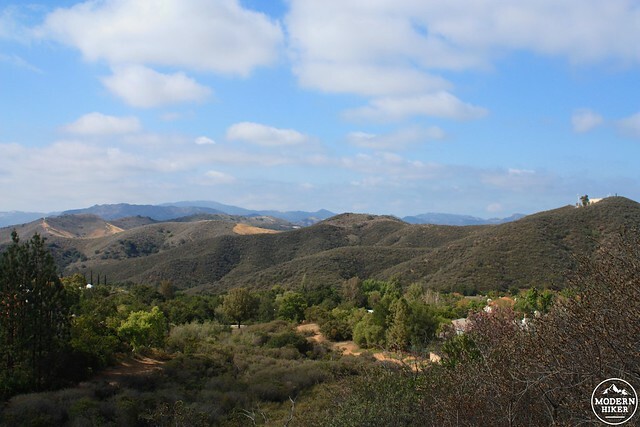 Here, you’ll actually be inside the National Park Service’s Lang Ranch / Jordan Ranch holdings of the Santa Monica Mountains National Recreation Area. 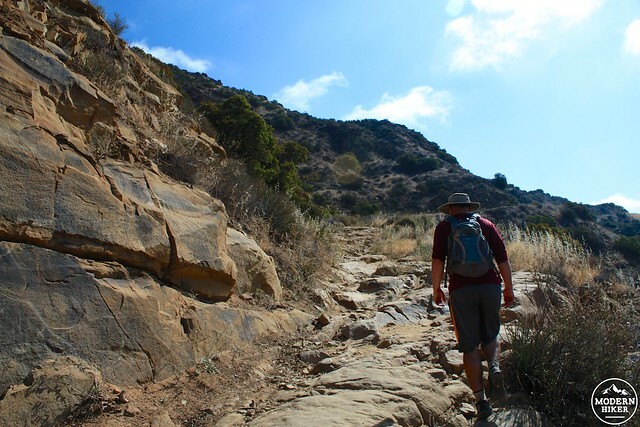 At just about the 1.5 mile mark, the trail levels out a bit as it makes its way between two larger rocky outcroppings. 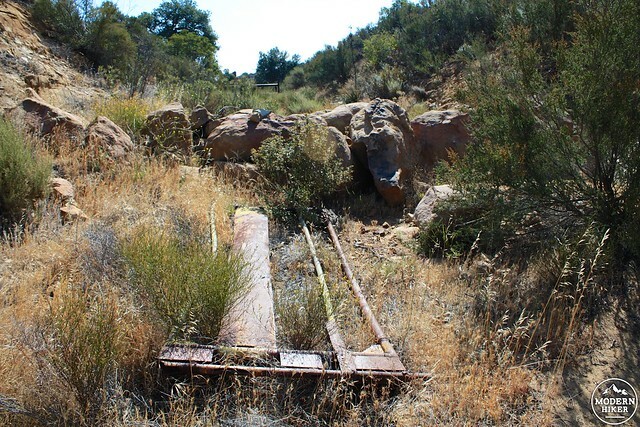 Note the old rusted gate from the land’s former ranch days and continue to the east past the still-standing rusted gate, staying left at the signed junction with the Oak Canyon Trail to begin on the China Flat Trail. Just beyond this, the trail follows another old ranch road down into China Flat, but you can also take a steep, well-worn shortcut through the chamise and sagebrush if you’re looking for a minor challenge or just a change of pace. 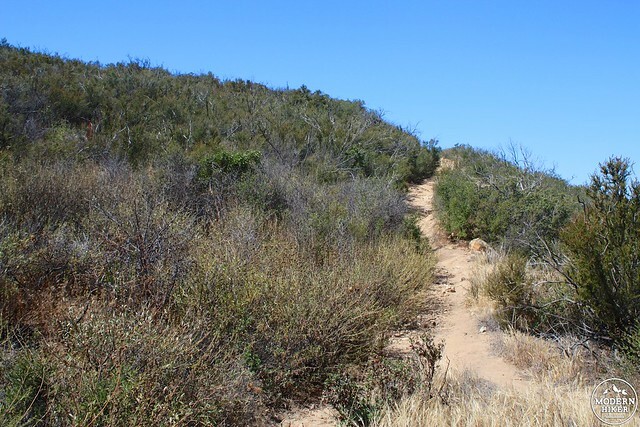 If not, just stick to the old fire road and enjoy the gradual transition from sage scrub to grassland and oak woodland. At 1.8 miles, keep left at the junction with the Palo Comado Trail. Hop over the seasonal creek and stay to the left to continue west in China Flat — a large grassland dotted by beautiful live oaks. 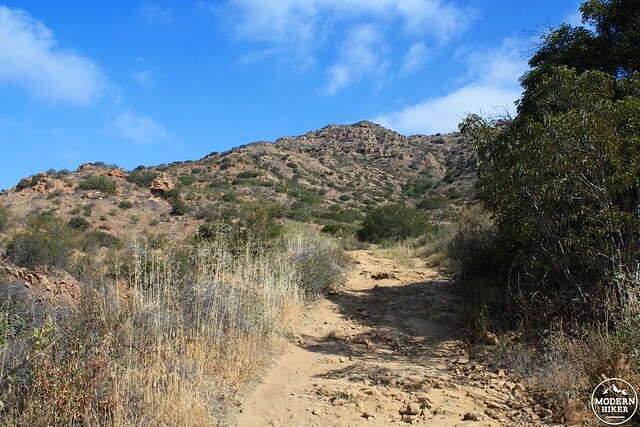 It doesn’t look dissimilar from the oak woodlands in neighboring Cheeseboro / Palo Comado Canyons nor those near the Victory Trailhead in Upper Las Virgenes Canyon, but because you have to work a bit to see these they seem a little more special (not to mention less crowded). I’d definitely recommend coming here in the late winter and early spring, when these hills are surely glowing green with active grasses and budding wildflowers. As you head west, you’ll be hiking behind the long ridge of Simi Peak. The elevation gain here is much more gradual than what you’ve been on so far, so be sure to take time to soak in the scenery. At 2.3 miles, stay straight at the junction with a longer loop trail that runs around the perimeter of China Flat. The trail becomes much more narrow here and a bit overgrown. 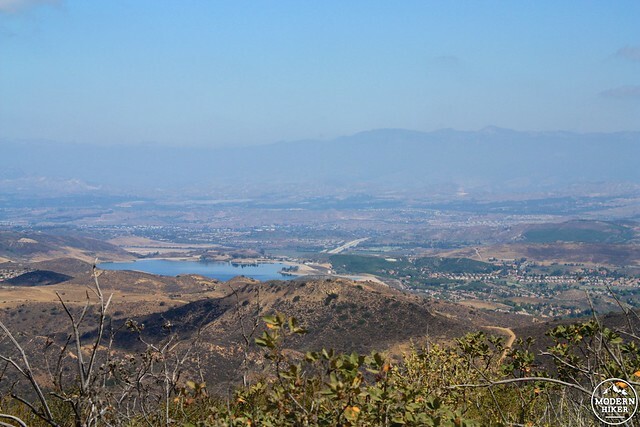 As you continue climbing the north face of Simi Peak, keep your eyes out to the northeast for Bard Lake and the Santa Susanas (if you can see through the haze or June Gloom!). By 2.7 miles you’ll reach the summit plateau. Look for a prominent pile of rocks with a short metal pole sticking out of them. 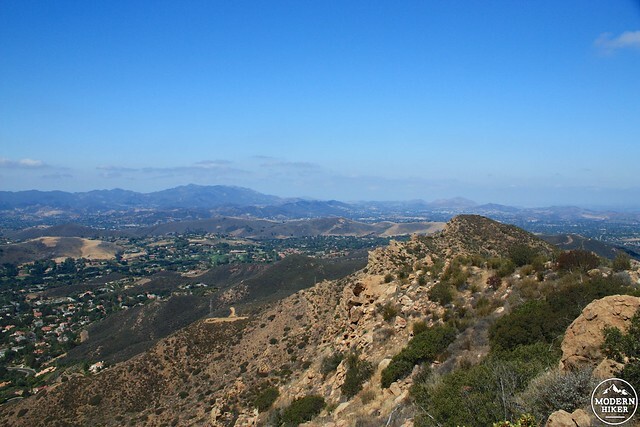 If it’s got great views of the Santa Monica Mountains and valleys below (and a tell-tale USGS marker), you’ve found Simi Peak! When you’re done, return to the trailhead the way you came in. Good. 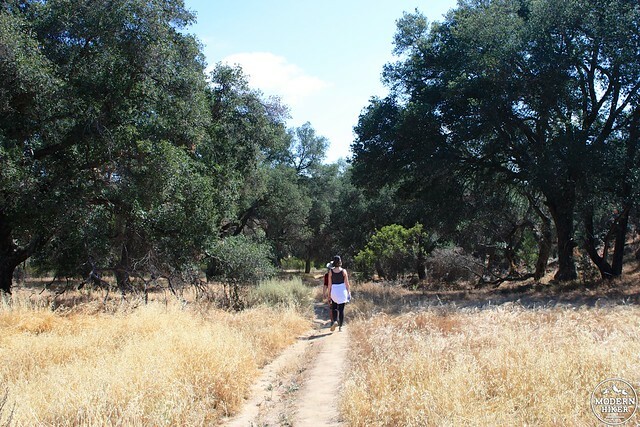 The lower stretches of trail are popular and well-traveled, as are the connectors to Cheeseboro and Palo Comado Canyons near China Flat. The routes near Simi Peak seem to be less traveled and are mostly unsigned. From the 101 in Agoura Hills, take the exit for Lindero Canyon Road heading north. Stay on this road for 3.8 miles and park between Wembley Ave and King James Court. What a beautiful tribute to your friend - I hope you have a wonderful hike in tribute to his memory. 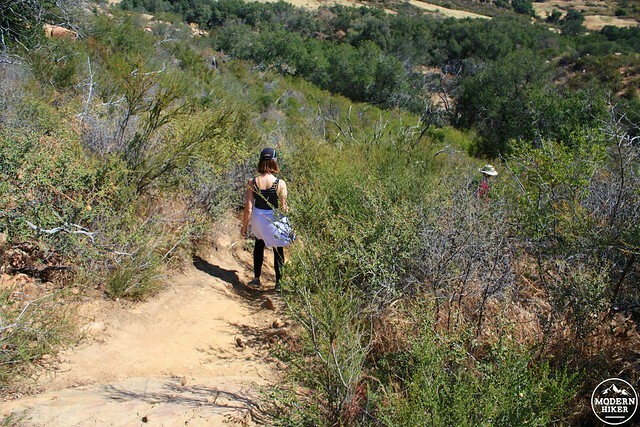 I grew up in Oak Park, yet I never did this hike because I always heard it was "over 8 miles" and my in shape friends made it seem truly impossible to a plebe like me. One of my best friends who loved this hike passed away unexpectedly last year, so in March a bunch of his close friends and I are going to climb it to commemorate his life. I'm excited, but I expect it will be relatively emotional as well. Definitely hiking this one! Thanks for another awesome write up!